Ball? Did someone say they want to play ball?! Hi everyone! 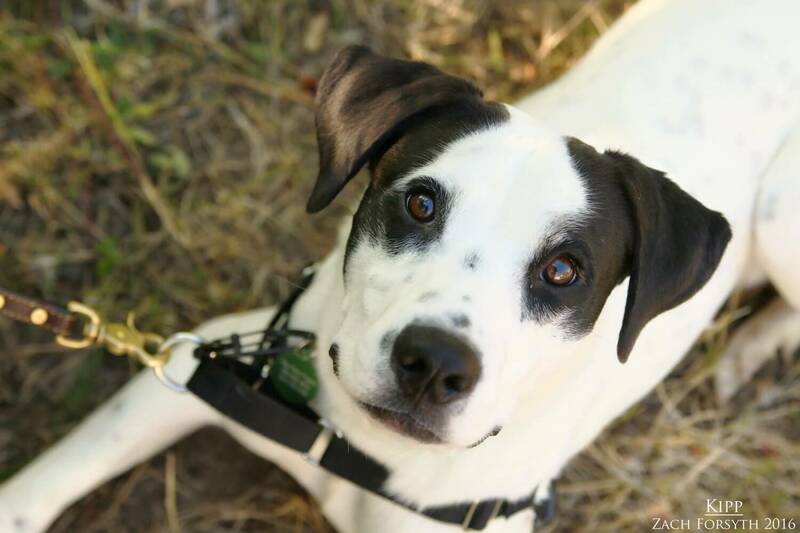 My name is Kipp and I am a 4 year old English Pointer mix weighing in at about 45lbs. I LOVE to play, especially with toys and of course BALL! Even though I am very active and enjoy being on the go, the city life is all new and the hustle and bustle is just a bit too scary for me. This makes me a little shy in social situations and I would prefer to be in a low traffic rural setting in a home owned by my adopters! I just need that space to run around and be my silly self. I am a little too intrigued by those kitties and need to be in a home without them. But not only do I enjoy playing with my human friends over the age of 8, but my doggy furriends as well!! I am a fun guy with a playful personality whose cute face is bound to make you fall in love with me. Are you ready to play and snuggle and then play some more? Then fill out an application today, so we can meet! I come to you neutered, vaccinated, and micro-chipped with an adoption fee of $300.